Louis “Lou” Bloom (Jake Gyllenhaal) is a man who knows what he wants out of life and is determined to get it. He is assertive, a quick learner, and truly believes that “good things come to those who work their asses off.” If nothing else, Bloom is a man who knows that branding oneself is the first step to any successful business venture. His desire to work, and his dedication to whatever he does, is rather commendable if you can get past the fact that Bloom is a sociopath. Representing the worst in our self-obsessed media saturated society, Bloom is the twisted embodiment of the American dream. He manages to go from nothing to a self-made man without any sort of formal education. His success can be attributed to hard work, though is methods are anything but ethical. In fact they are downright despicable. Bloom’s dark rise up the media ladder begins when he stumbles across a fatal car accident. Observing how freelance cameramen like Joe Loder (Bill Paxton) race to capture footage of such carnage, only to turn around and sell it to the highest bidding news outlet, Bloom sets his sights on a career path. Investing in a camcorder and police radio scanner, Bloom sets out to learn the basics of the trade on the fly. 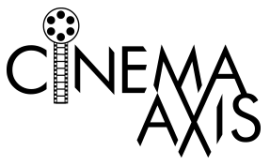 This includes everything from simple shot framing to how to negotiate footage pricing with news directors such as Nina Romina (Rene Russo). He even enlists an intern, Rick (Riz Ahmed), for his fictional production company to help assist with navigating the busy Los Angeles streets. When Bloom oversteps his boundaries, by manipulating crime scenes for better video coverage, he finds that his career really begins to take off. As news stations devour his scandalous footage like lions pouncing on bloody steak, Bloom begins crossing ethical lines to the point where his actions not only impede on police investigations, but put the lives of those around him in danger as well. Similar to its fast-talking wiry lead, Dan Gilroy’s directorial debut Nightcrawler wastes no time in branding itself as a taut thriller. Grabbing the audience by the throat from the jump, and rarely easing up for us to breathe, Gilroy brings an invigorating energy to the film. His salacious commentary on media consumption is not so much about the tabloid journalism that news organizations and outlets like TMZ employ – though he gets in some wonderful jabs – but rather the viewers who consume the information. The audience is put in a position where they can shake their heads disapprovingly at Bloom’s actions, while simultaneously taking glee in the brash lengths he goes to achieve his goals. We are mesmerized by Bloom because, in some ways, there is a little of him in all of us. Living in an age where social media, podcast and blogs have fostered a generation of do-it-yourself journalist and pundits, Bloom’s ambitions do not seem that outlandish. The fact that Gilroy continually references that Bloom’s education stems from the internet and observing what others do is no accident. In a world where numerous voices online are continually reshaping the landscape; things like formal education, morals and getting the full story before forming an opinion are being supplanted by half-truths and self-aggrandizing. We have become a culture that considers a newscast without any murders or scandals a “slow news day”, which is society’s way of politely saying “boring”. We try to convince ourselves that we are above the “if it bleeds it leads mentality” motto that Romina and Loder live by. We want to believe that we have the moral fortitude like Rick to say when someone has gone too far, or to pay the same attention to criminal acts that occur in poorer areas of the city as we do when they happen in the posh ones. The fact is we don’t. Just like Rick, we eventually buckle under the wealth and, in most cases, entertainment that the sensational provides. Bloom is the only one, in his own demented way, who knows this. On his own McConaissance of late, Jake Gyllenhaal is blisteringly good as the slick-haired Bloom. Bringing a subtly menacing vibe to the off-kilter Bloom, Gyllenhaal always seems one match away from detonating. He not only presents Bloom as a man who does not consider rejection an option, but also the type of person who would not think twice about breaking your neck for getting a drop of gas on his sports car. His scenes with Russo, who is also wonderful, are so creepy that you cannot help but feel a little unsettled in the moments where she looks at him with almost God-like awe. Fast-paced and brilliantly acted, Dan Gilroy’s Nightcrawler is a film that one does not forget. In fact, similar to the viewers of the newscast in the film, we cannot turn away from it. We want to revisit it again and see where the dark story will take us next. 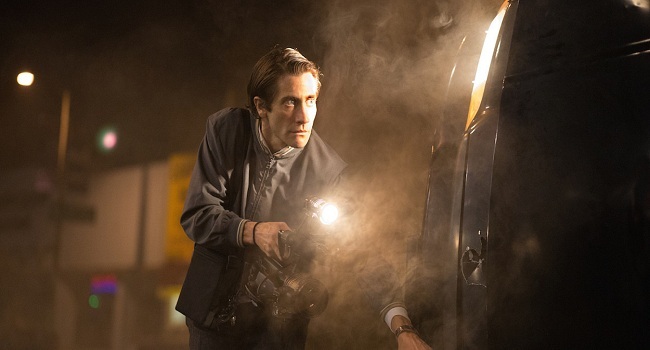 Nightcrawler is simply one of the year’s best films. Great read. Sounds like a very interesting and powerful film. Gyllenhaal has really impressed me in the last few years – I thought he was brilliant in End of Watch. I’m looking forward to catching up with this. End of Watch is a film that I still need to get around to seeing. Heard a lot of positive things about Gyllenhaal’s work in that film. “Living in an age where social media, podcast and blogs have fostered a generation of do-it-yourself journalist and pundits, Bloom’s ambitions do not seem that outlandish”… this is the hook that got me and that i also missed when I reviewed the film. He is a can do guy, but where he learns and the lack of any context for it are what make him even more disturbing. He does seem like the kind of go getter that we all want to admire, at least until he sucker punches some guy or steals what he needs. The end was a natural evolution of his narcissism. The lack of context is what makes Bloom both fascinating and dangerous. Also, I completely agree with you on the ending. The film does a wonderful job of building his narcissistic evolution to the point where the ending feels especially fitting. This is truly an amazing film and certainly features Jake Gyllenhaal at his most devious and unlikeable. I’m glad he’s getting some recognition for that performance. Gyllenhaal is one of those actors who seems to be getting better with age. He has been excellent in the darker roles he has taken of late. Gyllenhaal is so creepy here, that he makes this movie more than just another thriller. It’s pulsing and most of all, exciting. Good review. I think both Gyllenhaal and Gilroy deserve credit for raising the bar all around. The gave the film a wonderful and tense energy. It is one of the few films this year that I wanted to see again the minute the end credits began rolling. Awesome review! I hope I get to this one before it’s out of theaters entirely. This is one you should definitely not procrastinate any longer on. Will do! Going to see it today. I really admire Gyllenhaal in this movie; he’s turning into legend. After his creepy, skinny self in Nightcrawler then the still from Southpaw, he really goes that extra miles! He did a good job playing a darker role in Enemy as well.